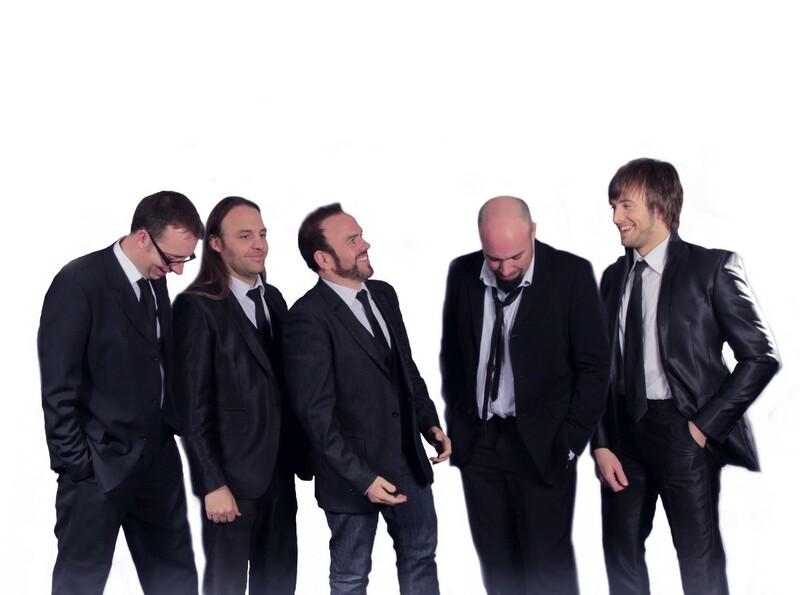 The Madisons are a 5 piece vastly experienced professional band. Performing extensively throughout Ireland at present but have enjoyed much success touring nationally and internationally in recent years. Supplying the perfect mix of music from our vast repertoire of party favourites from all genres guaranteeing a full dance floor all night. The Madisons pride themselves on their top class delivery of entertainment. Choosing us to perform at your Wedding will ensure an unforgettable experience for all in attendance. We endeavour to make it a very special and personalised occasion for every couple who hire us. We are more than happy to tailor what we play to best suit both the couple and their guests and are always happy to perform specific first dance. The Madisons were absolutely brilliant, each and every one of our guests loved it was apparent everyone was having a ball as the dance floor was always full! A huge thank you to Brendan and the rest of the band for playing at our wedding in the Hodson Bay on 21/9/18. You set the tone for a great night and had the dance floor hopping.You also helped settle the pre first dance nerves. We got do much positive feedback from guests about the band as well. In the lead up Brendan was a pleasure to deal with. Thanks for playing a big part in what what was a great day for us. Just fantastic! First class service from start to finish. Responded quickly to any queries we had. On the night itself the boys were unreal. The dance floor was never empty! The song choices were amazing. We choose to have the band and DJ package which saved us a job. Would highly recommend The Madisons. We recently had the madisons band for our wedding. From start to finish they were excellent. We had them sing at ceremony, band after dinner & then do DJ. I don’t know how many people came to me the next day to say how brilliant they were. Nigel the main singer sang at my ceremony & I honestly can’t say how good he was. The dance floor was never empty with people dancing. Would highly recommend the madisons! The guys were so pleasant to work with and kept the dance floor packed all night. Brilliant fun and amazing quality. Would definitely recommend the boys to anyone for any occasion. The Madisons were so good!! Could not have been happier. For the whole night the night the dance floor was full and we all felt they were really upbeat and easy to dance to. Perfect wedding band. Everyone afterwards were commenting on how good they were. They were a really smart looking outfit too. This band are well known and have a great reputation, delighted we went for them. Brendan, was very easy to talk to in advance of the big day and put us at ease with the first dance. 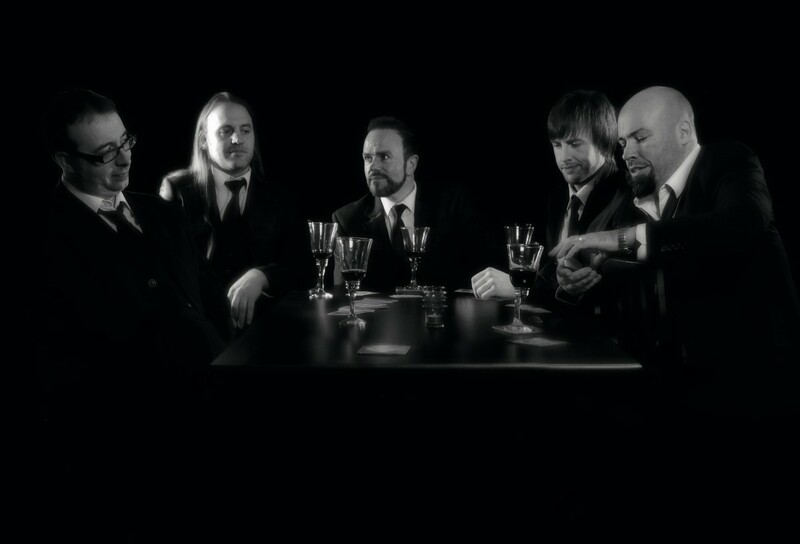 It is said that a good band makes a wedding. I can safely say The Madisons were a truly great band and made our day. They were truly professional. They were the talk of the day after. If you book the lads you will not be disappointed. Truly exceptional with a top class service and also a sound bunch of lads. The Madisons were excellent from day one so easy to deal with and were always more than willing to answer any queries we had. The performance at the wedding exceeded our expectations and added so much to the day, The dance floor was packed all night with guests both young and old and the guys put so much energy into their performance which impressed everyone. Really couldn't recommend the Madisons highly enough. 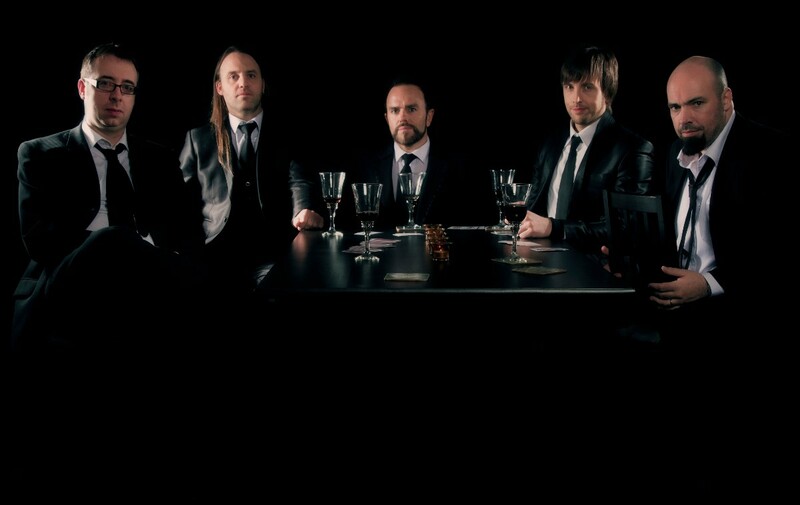 Absolutely fantastic band! I checked out a few bands and these were definitely the stand out band. Easy to deal with, very accommodating, vocally and instrumentally excellent, brilliant choice of songs and had the dancefloor full from start to finish. Mingled with the crowd and compliments still coming from all our guests on the Madisons... Highly recommend you will not be disappointed! Not enough stars available.for the Madison's. It was such a pleasure meeting them and so easy to deal with. We had a specific first dance song , and was nt a problem. All our family and friends cannot stop talking about them. Our dancefloor was full of all ages and people we have never seen dance! We cannot thank them enough for making our day so special and memorable. Cannot recommend them enough!! The Madisons played at our wedding. From the initial contact right through to the wedding, there was nothing we could fault. We were recommended The Madisons by a friend in music and we even changed the date of our wedding so we could have them play. We had our first dance in the woods using an i Pod and on our walk back to the venue we could hear The Madions playing our first dance so all we had to do was walk onto the dance floor. The dance floor was never empty and many people remarked on it. We cannot recommend The Madisons enough. Thank you so much for giving us the best entertainment we could ever have imagined. The Madisons absolutely made the night at our wedding. The dancefloor was hopping right from the start which made for a brilliant party and great atmosphere that suited the whole crowd and never let up. The lads were fantastic to deal with, even after lots of emails back and forth Brendan was always happy to chat and help. Nigel and James performed at our church ceremony and it was beautiful. People are still talking about how great the band were on the day and some are even planning trips to go see their upcoming gigs. 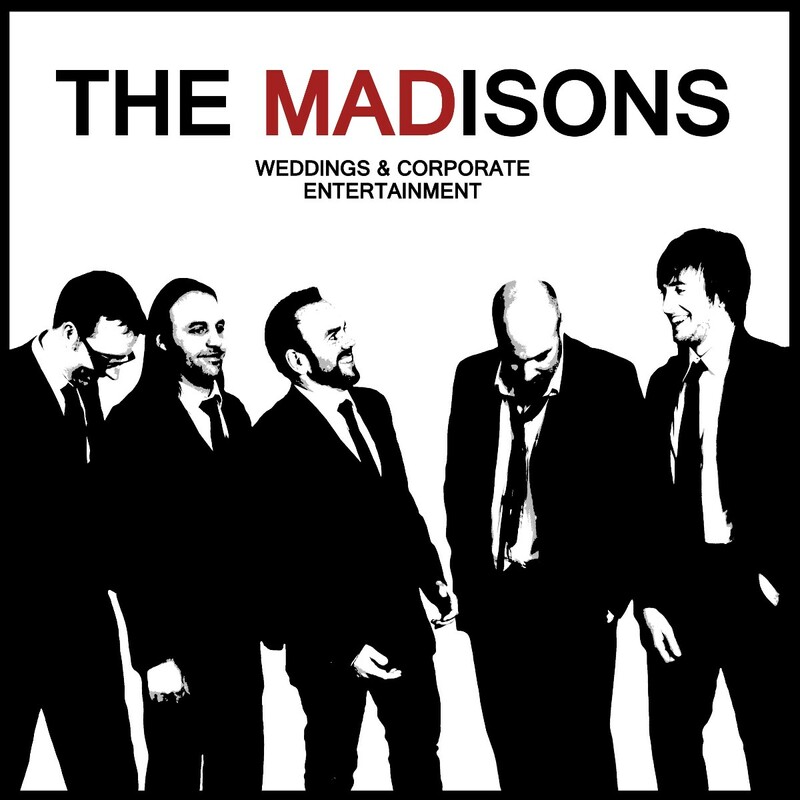 For us great music was a big priority for our wedding and The Madisons definitely delivered- they are a seriously talented group of lads. Couldn't recommend them enough! The Madisons absolutely made the night at our wedding. The dancefloor was hopping right from the start which made for a brilliant party and great atmosphere that never let up. The lads were fantastic to deal with, even after lots of emails back and forth Brendan was always happy to chat and help. Nigel and James performed at our church ceremony and it was beautiful. People are still talking about how great the band were on the day and some are even planning trips to go see their upcoming gigs. 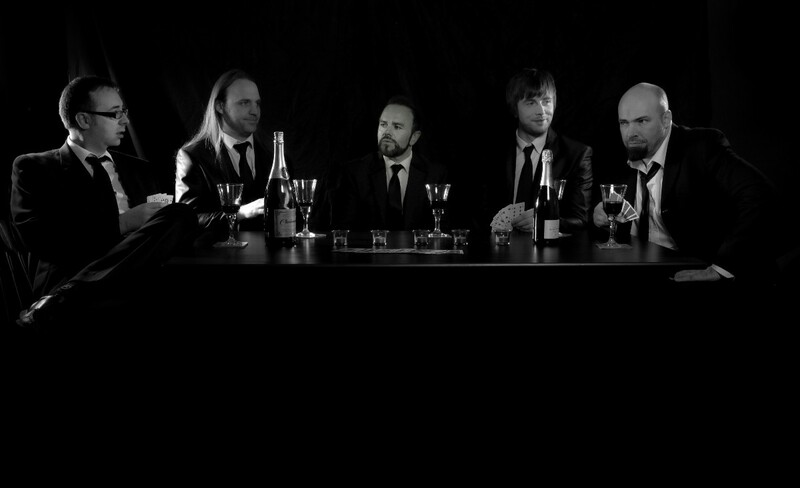 For us great music was a big priority for our wedding and The Madisons definitely delivered- they are a seriously talented group of lads. Couldn't recommend them enough! 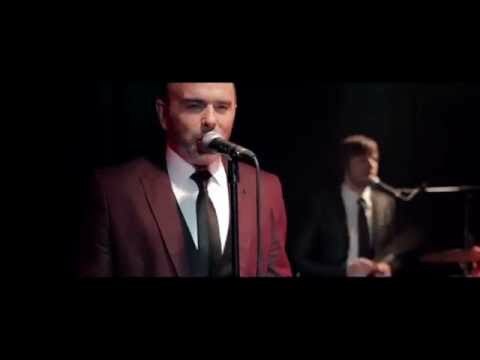 We had the Madisons as our wedding band in July and we could not recommend them highly enough! The dance floor was full all night and they played a great mixture of songs. Everyone was raving about them afterwards! They are so talented and so professional - we couldn't have been happier with them. My husband & I wanted something a bit more alternative for our wedding & The Madisons did not disappoint. They played crowd pleasers at the beginning for all the relatives and then played some rock for our friends afterwards. The singer has a fantastic voice & he had great banter with the crowd. There was no fuss organising the bands arrival etc and they learned the song we wanted for our first dance. A little pricier than the standard band but worth it. The Madisons played at our wedding and they were incredible!!! So professional to deal with in the build up to the day, they always responded immediately (which is a huge help when you have a million things to organize). And on the day, wow! They literally didn't stop playing except for one break. They blend one song into the next so there's no pause and it really makes it feel like one continuous show. Everyone was on the dance floor the entire night, their energy is amazing and they have such a fun and friendly way of interacting with the crowd. Their song selection was perfect, and they played a special request for me, an Elvis song that was my Dad's favourite. He passed away five years ago and it meant the world to me that they sang it and they introduced it so thoughtfully. Definitely book them if they're available! My daughter booked the Madisons because I had heard Nigel sing on many previous occasions and had highly recommended him. I am so glad I did as the Madisons made her day a day to remember. They were absolutely fantastic and everyone who was there said the band were the best they had ever heard. The floor was never empty and we were all wrecked from dancing . Nigel sang earlier in the day before the meal and everyone was singing along. I cannot recommend this band highly enough to anyone looking for a wedding band. They are professional, entertaining and SIMPLY THE BEST!!!!!! We found The Madisons to be an excellent choice for a wedding band. They were helpful, friendly and professional at all times. The lads performed our first dance song beautifully and regularly got everyone up on the dance floor with their energy and enthusiasm. We received many compliments from the wedding guests in relation to the band and I would highly recommend them. If you are considering having a wedding band, look no further and hire The Madisons straight away. Guys, three weeks since our wedding and there is still not a lot we can say about The Madisons as we are still speechless when we talk to each other about them. THEY WERE ABSOLUTELY FANTASTIC and without doubt added that final magical touch to our special day. We cannot praise you enough. Our guests have been online looking for venues to go see them again they had such a good night. The dance floor was filled from the moment they started with all ages enjoying themselves. One special memory that will remain is me hijacking Nigel as they were setting up and asking if he knew the song 'sit down' by James, a few hours later Nigel laughing away having quickly memorised the song to then see over a hundred of our guests sat down in the middle of the floor bride & groom included singing along with him - BRILLIANT. Planning the night with Brendan was effortless throughout and as promised no talk of contracted time slots or extra over costs as some bands had requested - the boys just played a huge non stop set, way longer than we expected, the atmosphere was brilliant all night and the band just rolled with it and kept it going, even the handover to the DJ was unnoticeable and they kept the floor filled into the small hours. ABSOLUTELY NO HESITATION IN RECOMMENDING THE MADISONS FOR ANY FUTURE EVENTS. We booked the Madisons for our Wedding on August 5th 2016. Brendan was so responsive and flexible to all my 1 million questions and always had the best solutions.He was also accommodating when i had last minute changes and wanted to add in cocktail reception as well as on the night of the wedding we had some music we wanted to play...they were flexible for everything! It was tricky for us as we were planning the wedding from Canada, but Brendan was so kind and helpful and hopped onto the phone a few times to ensure everything was fine...now, the night of the wedding! WEDDING: HOLY CROW THESE GUYS ARE UNBELIEVABLE!!!! The dance floor was PACKED. They played great hits all night long, interacted with the crowd and really know how to get the party started! Nigel was great- so personable with the crowd as well. When they transitioned into the DJ part, I didnt even notice, everything was done so smoothly. Our guests are still talking about how amazing the band was and how great they made the whole night. I recommend them 1 MILLION percent, these guys are amazing, and if I would do my wedding over, they would be the number one vendor to get in touch with!! The band were brilliant and played everything we requested. They even learned a couple of songs which were special to us. The dance floor was full all night and all of guests were raving at how good they were. Nigel was great at interacting with the crowd and we would highly recommend The Madisons! The Madison's are just a fantastic wedding band. They are so versatile and really get the crowd going. They cater for all genre's from the Old Time Waltz to good old fashioned rock. They are a pleasure to deal with. We spent many hours ( and cups of tea) with Brendan talking through what we wanted. Nigel and James also provided the music and song for our ceremony and it had not only me in tears. In fact one guest even said that they would vote for lead singer Nigel in The Voice as he had made him cry during the ceremony ( No drink taken at that point!!) They learned our song choices no problem and played them to perfection. Andrew also provided the DJ set after the band and again no request was a problem. The hotel has a really big dance floor but it was full all night and Nigel even joined into a train/conga line around the dance floor while still singing note perfect. These guys are true professionals, they care about what they do and it shows. We know that they made our day and night really special and it felt really personal and we highly recommend them if you are looking for a wedding band. The Madisons were brilliant!! They filled the dance floor for the entire night with a great mix of songs. Everybody was up dancing to this energetic bunch. Everyone has been talking about how fantastic the band were and were definitely a highlight of the wedding celebrations. They were very easy going to deal with and even learnt an unusual first dance request at short notice. We wouldn't hesitate in recommending them. Thanks lads and best wishes in the future. Have gotten rave reviews from all our guests after having the lads perform at our wedding last weekend. Nigel and James performed in the Church and my only regret is not having had a video so we could listen to their performance again. We were encouraged to choose whatever we wished for and that we did! Along with religious ceremonial pieces we had some Nick Cave, Ray Lamontagne, James Vincent McMorrow and Peter Gabriel. Went from deeply emotive to the party vibe seamlessly! The band and particularly Brendan were fantastic to deal with. Extremely professional, prompt responses to any queries, willing to give loads of their time if needed and most importantly all amazing musicians in their own right. I'm not the best dancer and was worried about keeping the floor full- the lads have this down to a t. They accommodated requests and more importantly judged the crowd and kept the party going until the end of the DJ set. They also accommodated a family dance performance and were incredibly easy going about it. The atmosphere they created was fantastic and made the celebration for us. The groom got a little caught up with it and we now own a banquet table that couldn't sustain his dancing on top of it.... Sure you couldn't buy the memory! We are so grateful to all of the lads and as Ardonians love the fact we could support a local band on our wedding day! Couldn't recommend them highly enough. Guests booked them for their own wedding on the day after hearing them. Thanks again! You would be mad not to book the Madisons for your wedding! They are simply amazing; full of talent, energy & chemistry, they had our guests on the floor all night. They even played a few Pearl Jam songs just for us. We love our live music, so it was important for us to choose a brilliant band, and everyone commented on how great they were. They played a perfect mix and even had the aunties and uncles out for a waltz. 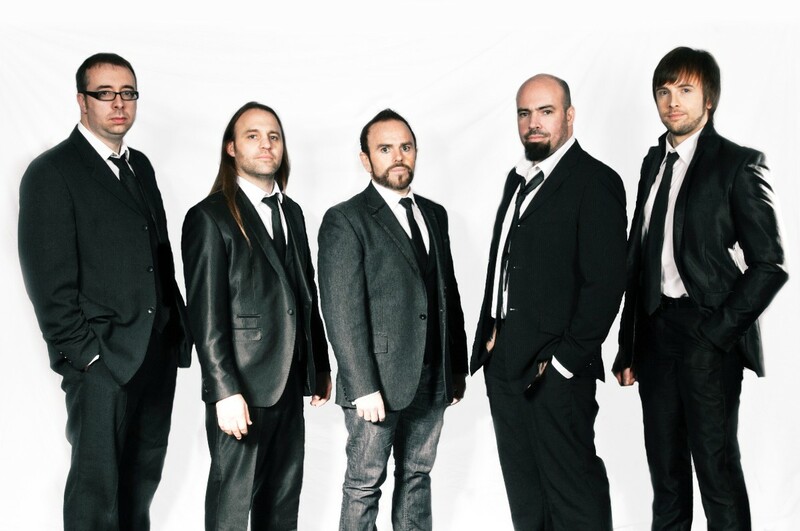 They are fronted by Nigel Connell who is currently wowing audiences on the Voice of Ireland. Wishing you the bestest of luck Nigel! Thanks again guys for making our day epic! There's only one word to describe The Madisons - perfect. From the day we first contacted them they were so professional and yet personal. Our contact was Brendan and he replied to every text and e-mail we sent him immediately. They had no problem learning the songs we asked them to perform for us even though they were lesser known songs. On the day itself they were excellent. They provided piano at the drinks reception and the DJ also and the transition from the band to the DJ was immediate. We couldn't have been happier with them. The dancefloor was full all night and the addition of some Christmas songs was a nice touch! We have been complimented ever since on how great they were and I would definitely recommend them.